Why do you hate art? You monster. I’m hideous. Don’t look at me. 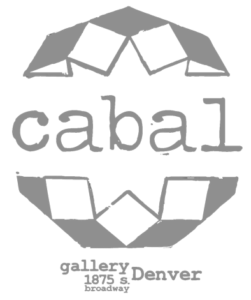 If you like the things I make, check out my patreon page, follow my recent work on instagram, or visit me IRL at Cabal Gallery. “A mystery patron offers you unlimited funds for life. What will you do with it? I’m not certain from looking at your art whether or not you’ve ever actually seen a real cat. Mar’s art, accessible to all (provided you have the money), presides over the living rooms and foyers of Colorado’s wealthiest and most astute collectors. From their gated community in the uber-hip artists colony of Cherry Creek, Mar creates work that is timeless, yet still retains the feel of the gritty, rapidly gentrifying streets of Denver, all the while trying to answer that eternal question: “Who knows the secrets of the human heart? Mar’s artistic expression appears to be first dredged from the deepest recesses of the psyche where all dark thought and raw terrifying emotion dwell. And then on its way to the surface in a basket on a rope it is slapped repeatedly with the colors of perspective and life experience, tickled with a powerful sense of humor, and backhanded with love before finally sprinkled with glitter and spanked into being.